Recently we have been pretty busy in the shop with workshop jobs and quite a few custom build bikes. Possibly the nicest of these custom builds has been the Cervelo R5 Race bike we built for our sponsored Professional Triathlete who decided that weight was the biggest factor for his next bike, no matter what. Obviously differences in manufacturers groupset weights are quite competetive, and although Dura Ace isnt the lightest of them all, we agreed to use it, pair that with Mavic Cosmic Carbon Ultimate wheels, 3T Carbon Bar and Stem and the Fizik Carbon braided saddle, the weight is going to be unbelievable. Building it was a pleasurable experience, getting top work with some of the highest end kit, everything was going together perfectly, hardly atweak needed, biggest problem we had was the tubular tyres he opted for, but luckily for us he volunteered himself for that job. The big goal was to get it lighter than his old Specialized bike he was racing on, 8.8kg. At the time it seemed like quite a task but as we got on with the build it was looking more and more doable. The final weigh in arrived and we sent him the message, “guess the weight and its free……..” with a picture attached. Massive sigh of relief from me, although he was extremely close with that guess. 6.4kg! 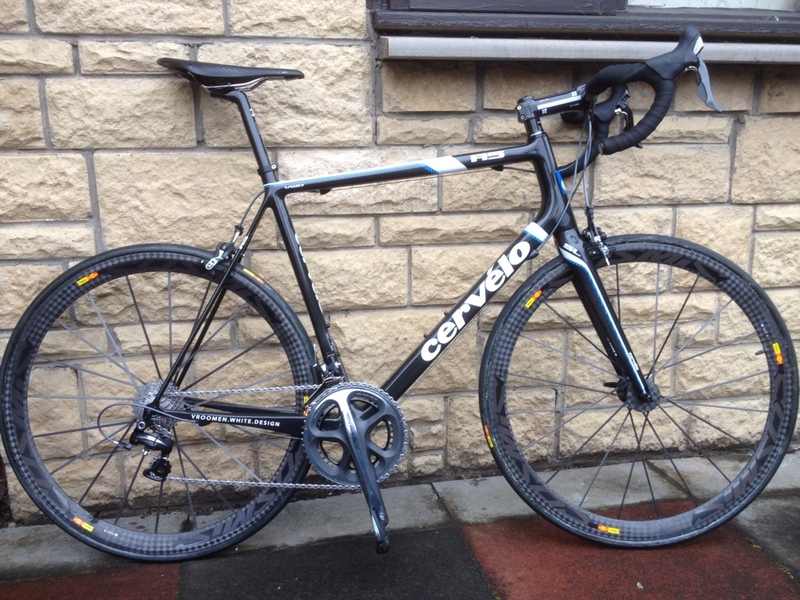 THE lightest bike I have ever had the pleasure of building. Unfortunately he hasnt been able to ride it because of the awful weather up here but as soon as he has had a good blast on it we’ll see what he thinks. Fancy a custom road bike? Come into the store or email us and lets see if we can beat this one! Look ma……..No lights. sunset sessions. The summer is coming and Sprockets Cycles is getting busier. It’s been a while since I’ve been able to ride after work without feeling exhausted and without lights on. It’s also been a while since the other half has let me out to play after work, I love yoga classes, an hour and a half to get as much riding in as possible! The last couple of weeks have been awesome in terms of weather, sunshine all day long, cool clear nights, the trails have been completely dried out. 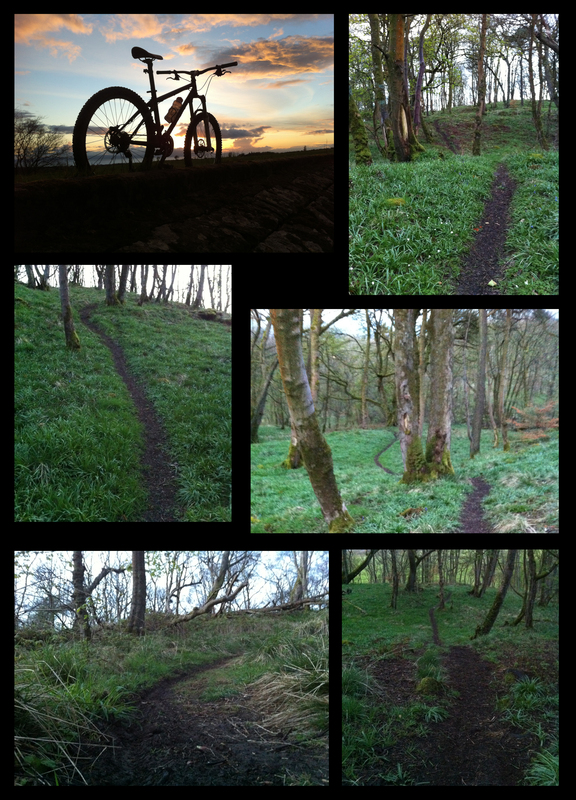 this week though the rain has re-appeared, the trails are even better, bit more grip and wee bit of uncertainty in the corners, slidy slidy………. Anyhow, I headed over to the other side of the local hill, haven’t ridden this trail in ages, someone excavated the tree that was blocking the end too, good times. Sessioned this for a while then headed back to the reservoir, one wee blast down the resi track and headed home. Just in time to meet the other half after her class, Cup of tea and a biscuit, night. GoPro Hero 3 – Even Better, Again. More new BMX bikes in store! Social Bike Co, New BMX Brand in Ayrshire.